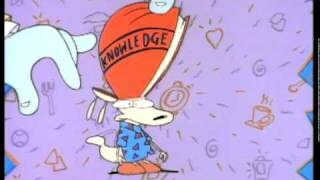 When I was thinking about what I would write about earlier in the week, Rocko's Modern Life was not on my radar. The cartoon sitcom had been done for about 20 years, so you can imagine my surprise when a new television movie was confirmed to be in production for a 2017 release, entitled Rocko's Modern Life: Static Cling. I should start by saying that this is wonderful news for me personally. I was a fan of the show when it aired as the fourth ever Nickelodeon cartoon, and I watched the entire series from start to finish years later in my mid-teens. 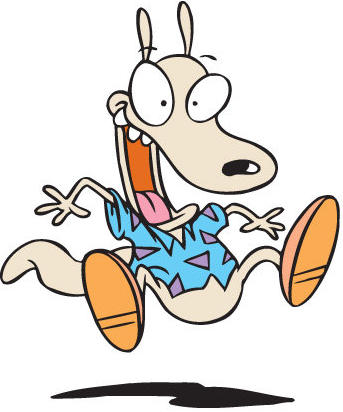 I plan on re-watching all four seasons in the not-so-distant future, several of my screen names are based on its characters, I have a videogame featuring Rocko, and I've secretly been hoping for a new episode for two decades now. You could say I'm happy about this. 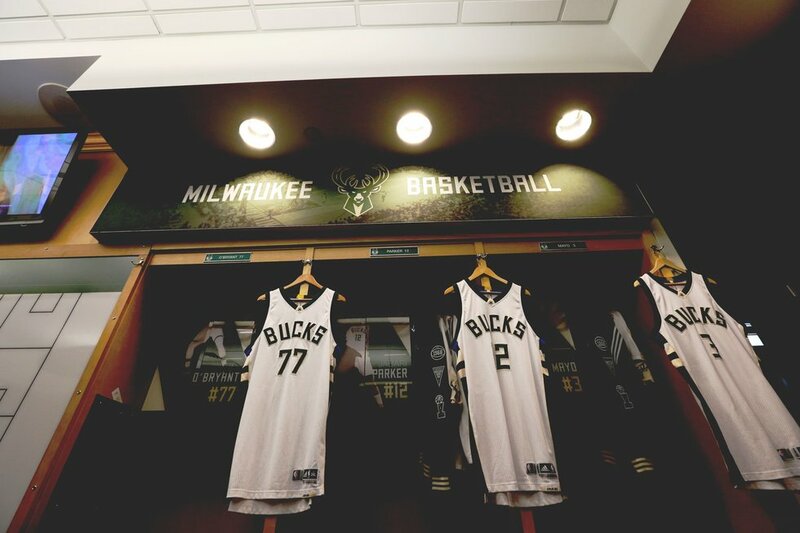 Really though, this is great news in general. I understand that some may have reservations about this. After all, certain other modern reboots have received less than glowing reception, and reboots in general are becoming discredited and overly common lately, so there are good reasons for skepticism. That said, I think that Rocko's reboot will be different. In part, this is because the entire original voice cast is returning and the animation and humor from the preview looks spot-on. The real significance of the reboot runs deeper, though. Rocko's Modern Life has always been about learning "to adult" in a big, sometimes unwelcoming world full of daily life challenges. During its initial run, it touched on themes of adoption, immigration, environmental preservation, adultery, and more, but its real strength was in its honest look at day-to-day living. Even a simple trip to the laundromat could become perilous for Rocko, which was amusing, but it rings truer the more life experience I gain. The show felt importantly genuine in that regard. 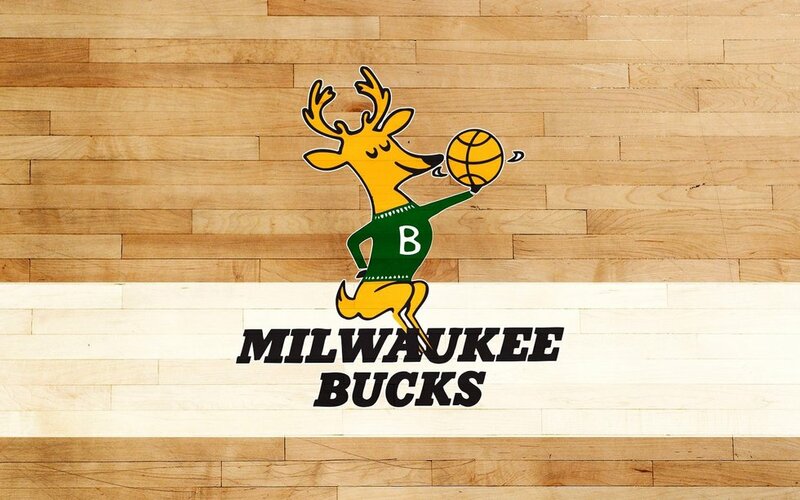 Fortunately, the reboot already seems to be drawing on this strength. After 20 years of being in space (it makes sense in context) Rocko and his pals return home to find that technology has advanced greatly, and now they must struggle to adapt to an even more modern life than before. We live in a time when technological innovations are moving faster than ever, and so this is the perfect theme to return to the series with. 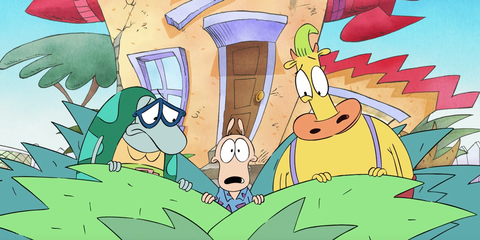 Sincere, quirky observations about the oddities of modern living are Rocko's specialty, and I couldn't be more excited to see his take on the culture of a new century.